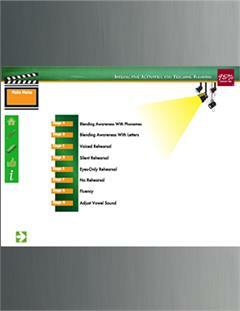 Teach students how to transition from reading words sound-by-sound to reading whole words blended. 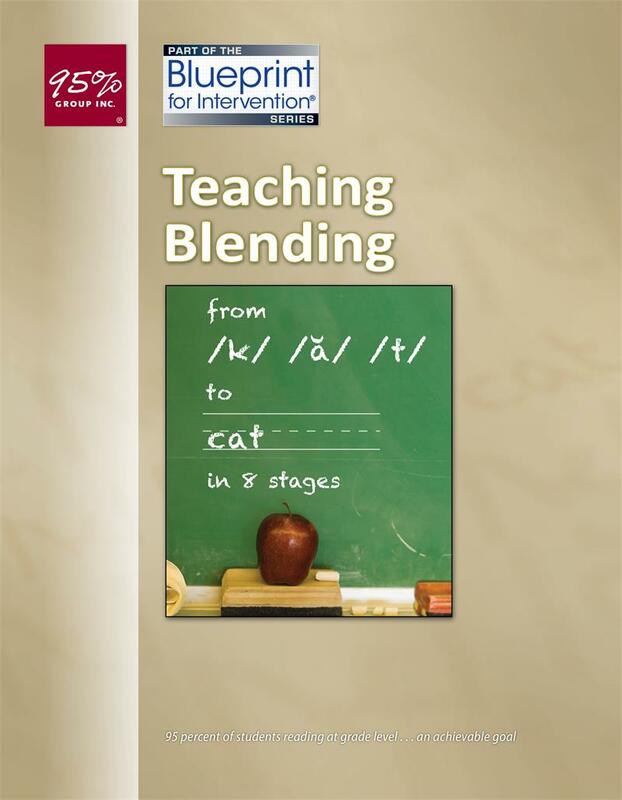 Teaching Blending® helps educators teach students how to transition from reading words sound-by-sound to reading whole words blended. Teaching Blending® is the only product available that specifically provides teachers with techniques for blending instruction. 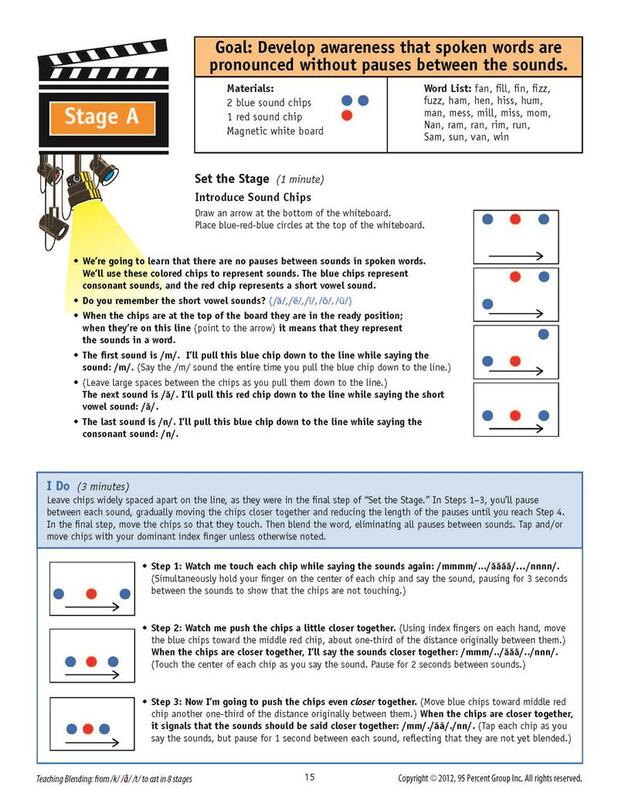 By breaking blending instruction into easy-to-define stages (mastering the concept of blending, reducing the level of rehearsal required, moving to fluency, and dealing with words that are exceptions), 95 Percent Group makes it easy for educators to pinpoint weak spots and guide students toward whole word reading. 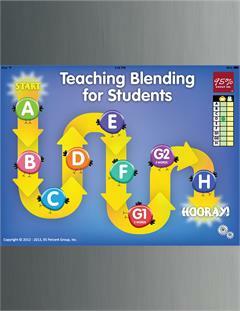 Learn about our Teaching Blending® Student Edition IPad App and Teaching Blending® Teacher Edition IPad App. 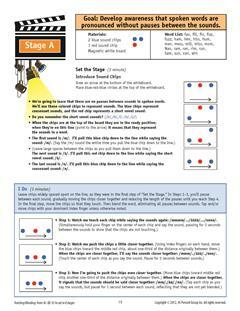 We also offer volume discounts for the applications through the Apple Education Volume Purchase Program. 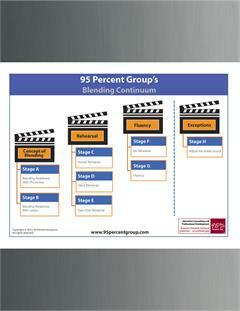 A constant reminder of the order in which the stages of blending should be mastered.